American painter, author and traveller (1796-1872). 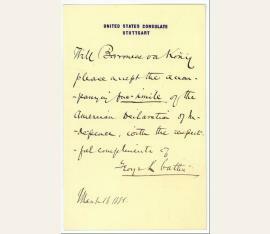 Autograph letter signed ("G. C."). "Monday evening". 8vo. 2½ pp. on a single bifolium. 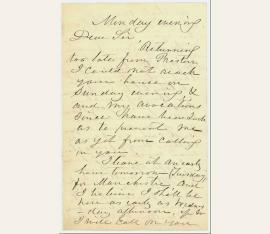 To an unnamed recipient ("Dear Sir"), stating that he has been unable to see him and that he must leave for Manchester, and requesting that he not mention his name to Col. Sherburne. 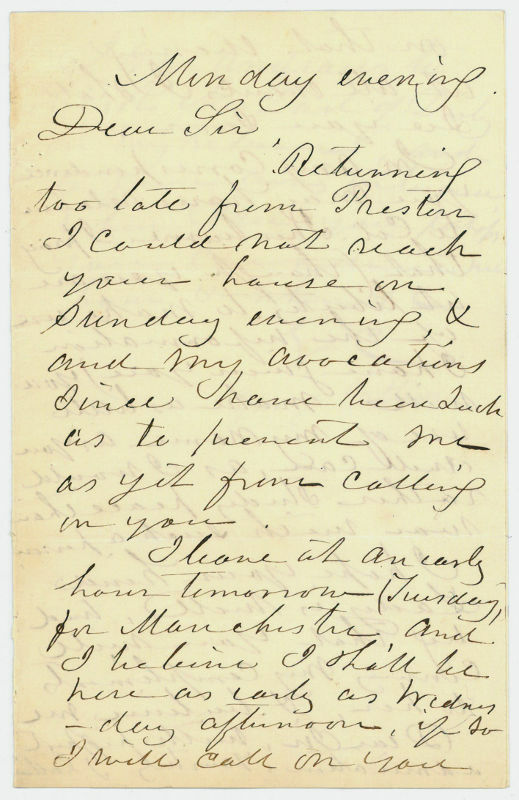 "Returning too late from Preston I could not reach your house on Sunday evening & my avocations since have been such as to prevent me as yet from calling on you. I leave at an early hour tomorrow (Tuesday) for Manchester [...] In any correspondence you may have relative to Col. Sherburne I pray that (though you are at liberty to make use of the information I have given you) you will make little use of my name as you well can, as I would rather study peace than war with such a person [...]". - Unable to find a suitable market in America for his growing body of work, Catlin travelled to England in 1839 hoping to find a more receptive audience..
amerikanischer Maler, Schriftsteller und Reisender (1796-1872). Autograph letter signed. Wohl Stuttgart. 1 S. auf Doppelblatt. 8vo. Mit eh. adr. Kuvert. 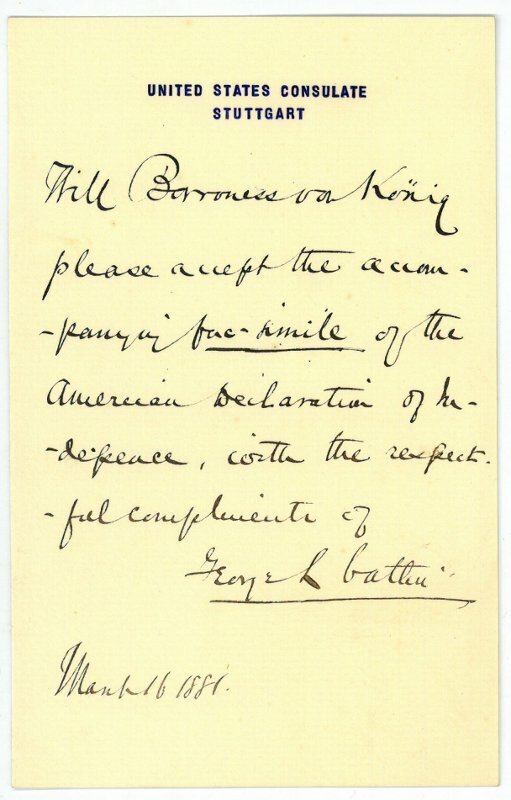 To Baroness König-Warthausen in Stuttgart: "Will Baronesse von König please accept the accompanying fac-simile of the American Declaration of Independence with the respectful compliments of | George L. Catlin". - On headed paper of the American Consulate at Stuttgart.